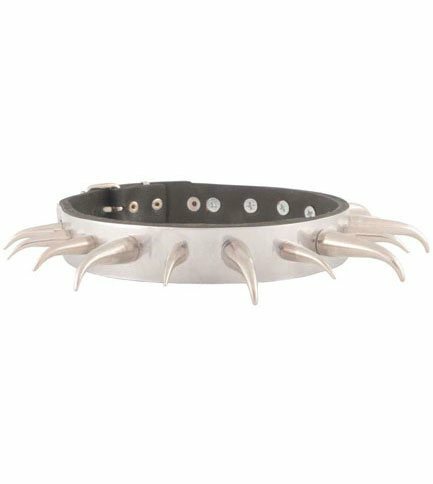 Stainless steel 100% leather choker with 10 x 1 inch and 5 x 1.40 inch bent downward silver cone spikes. Fits 14.5 by 16 inches in neck circumference. Imported from Canada.